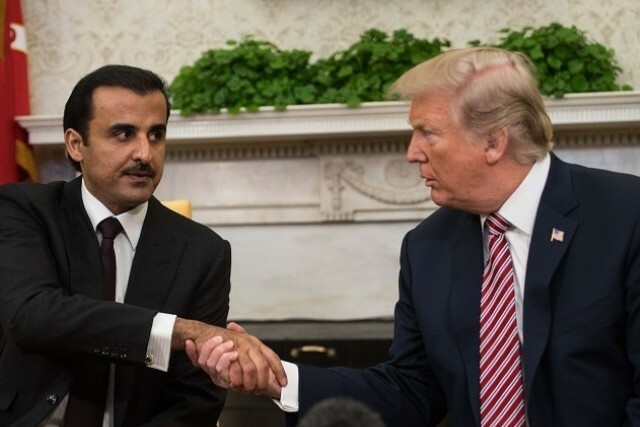 Qatar continues to beg the United States, Doha always seeks to bribe Washington no matter the cost. Tamim wasted Qataris’ money to carry out his vile scheme in the west. Boeing said Qatar Airways sought an agreement with it and bought 5 777 cargo airplanes, Qatar paid $1.7 bil. to complete Tamim’s vile goals. The planes were ludicrously shown at Farnborough airshow. Akbar Al-Baker, CEO of Qatar Airways, flirted with Trump, insisting he’s a personal friend of his and thanking him for solving an old dispute with a US company.